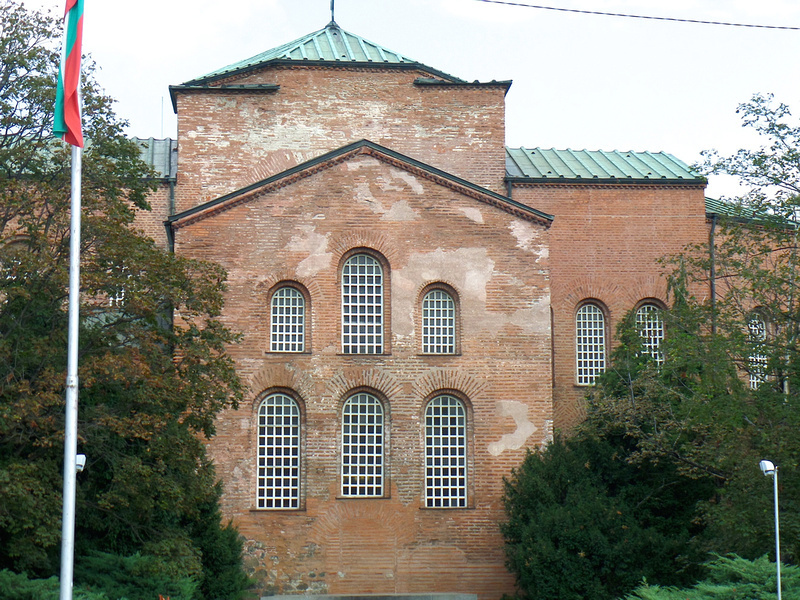 The second oldest church in the city, St Sophia’s is often called the ‘Symbol of the City’. This unusual building gave the city its name, and was originally built in the 6th century. At different times, it has been a Christian church, a cathedral, a Mosque, a warehouse and now a Christian church again. It does look somewhat warehouse like from the front, but go inside and you’ll find wonderful paintings, sculptures and carvings. For a small fee, you can visit the lower area where there are extensive Roman tombs and other remains. One interesting, and quirky, thing about the Basilica is that the church bell hangs from a tree opposite the front of the building. The tower (and indeed two minarets when it was a mosque) all collapsed during earthquakes, so it was deemed unlucky to house the bell inside the church again. 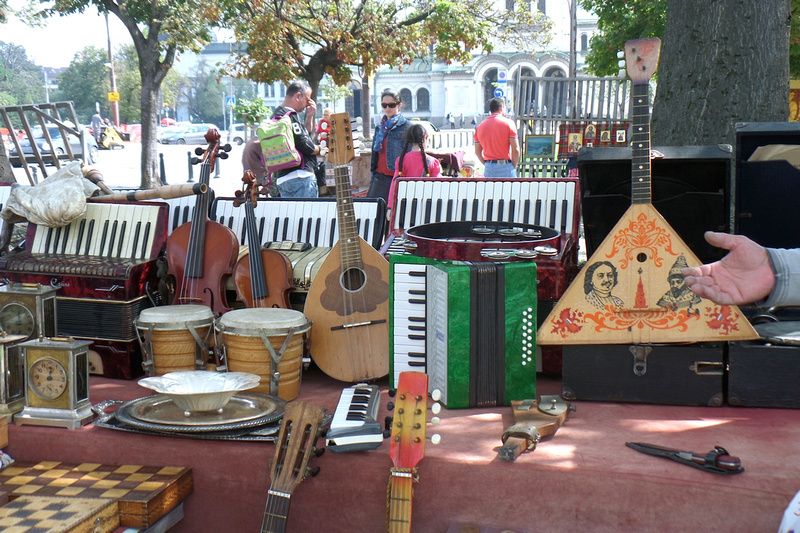 The most well known flea market in Sofia is situated near the St Alexander Nevsky Cathedral. It has three areas. The first is a wide passageway where you can buy original paintings and icons for a fraction of the price you would pay elsewhere. Behind them you’ll find stalls selling memorabilia -most of them historical. Finally, just across the road, are stalls where women sell beautiful hand made crocheted and embroidered goods. There is another daily flea market in the basement of Sveta Paraskeva Church, situated at 58, Rakovski Street. Be prepared to barter at both places. 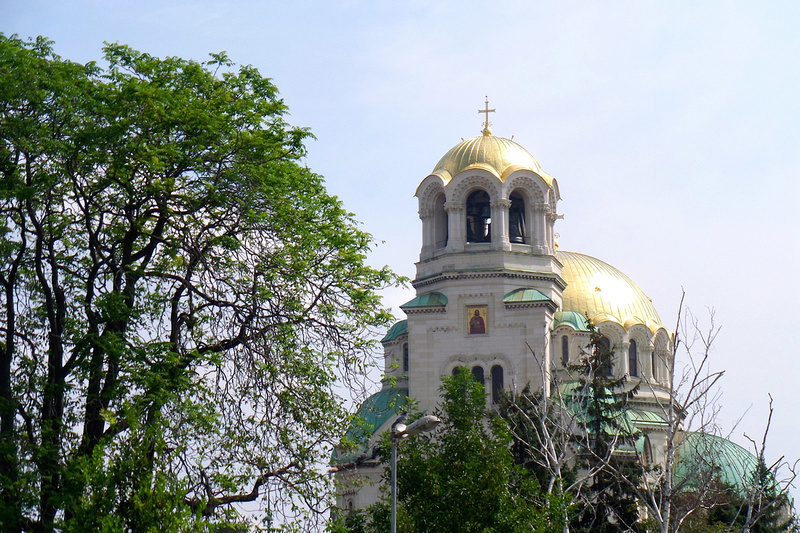 The cathedral is often considered one of the most beautiful 20th century buildings on the Balkan peninsula. As you approach the cathedral from Bulevard Tsar Osvoboditel the golden cupolas are the most striking feature, catching the sunlight as if calling to God. Inside, the cathedral is gloomy and ‘guards’ hover to make sure you are properly dressed and don’t take photos. The interior is richly decorated with icons, paintings and mosaics. In the crypt you’ll find over 200 icons, paintings and frescos. I must admit I preferred the St Sophia church but this is still a must-see. Location: Plashtad Aleksander Nevski, open daily 7am – 7pm. Crypt open Tues – Sun 10am – 6pm. This museum is really more of an art gallery. Originally called the Museum of Totalitarian Art, the outside space houses numerous statues from the Soviet era. 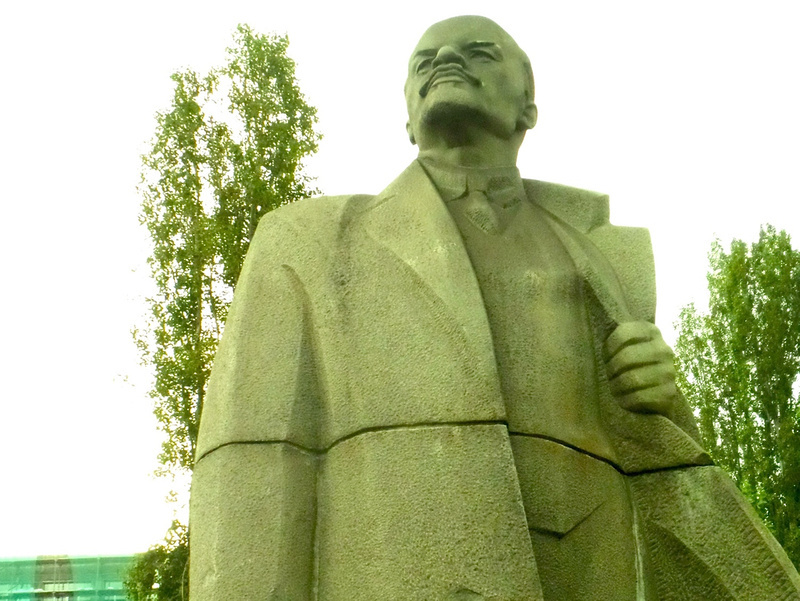 The massive statues, such as the one of Stalin, contrast with the smaller pieces showing working people. The museum building holds excellent modern and Socialist Realism art works. Although works relating to the Soviet era are not fashionable at the moment, the striking poses of the leaders and the pathos of the workers and soldiers reflect a period of recent history and make this museum well worth a visit. Open 10am – 5.30 pm. Closed Mondays. The Food and Drink Tour takes you to three restaurants. 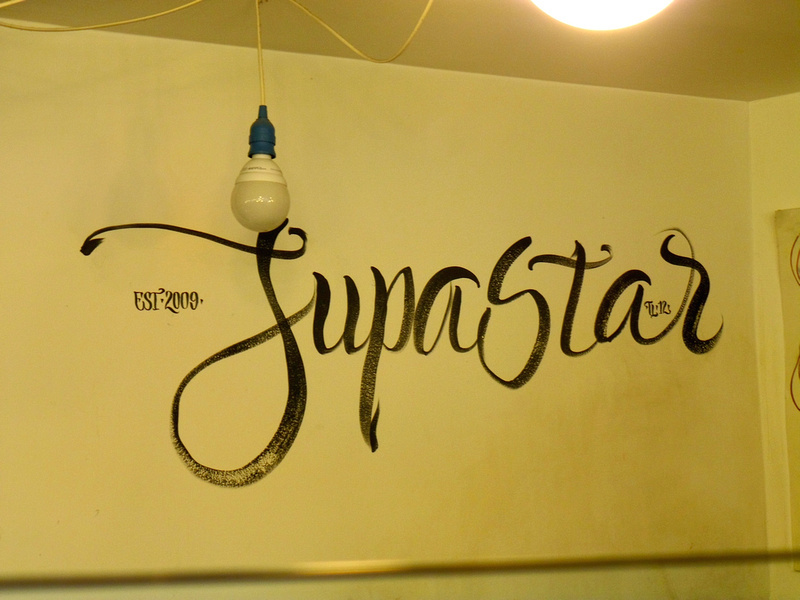 The first is Supastar, a fast food cafe offering a selection of six healthy soups. We sampled a cold soup – Tarator – a kind of runnier version of Tzatziki, made of milk, yoghourt, cucumber and garlic. It was delicious, especially refreshing on a hot day. Next we went to a Vegetarian and Vegan Restaurant – the Sun Moon Organic Restaurant and Bakery – and sampled their bread with two different types of tomato based toppings. Finally, we visited a very traditional Bulgarian restaurant where the decor looked remarkably Turkish. Here we sampled Wormwood wine (which strangely tasted of sausage) and three types of cheese. Throughout the tour Emo, our enthusiastic guide, explained the history of the food and Bulgarian Cuisine. The tour is a great way to see part of the city and taste local specialities. The itinerary may vary from day to day. Location: Meet at Krystal Park at 2pm daily. No charge. Sofia tours also offer a general city tour, a Pub Crawl Tour, Bike Tour, and a Green Tour. Patricia's favourite things about travelling are meeting new people, understanding different cultures and trying new food. She also loves quirky museums and walks by water. You can read more of her articles at www.patriciamcbridewriter.com. Very interesting and beautifully written. Definitely makes me want to visit. Sounds different.